Stacker2 Europe has been well known for over 15 years as the producer of the most powerful sports nutrition. Every product is meticulously composed and tested for effectiveness in consultation with top athletes. Only the best and most efficacious ingredients are used. This also applies to our latest pre-workout: INFERNO. INFERNO sets the bar several notches higher during your training session. 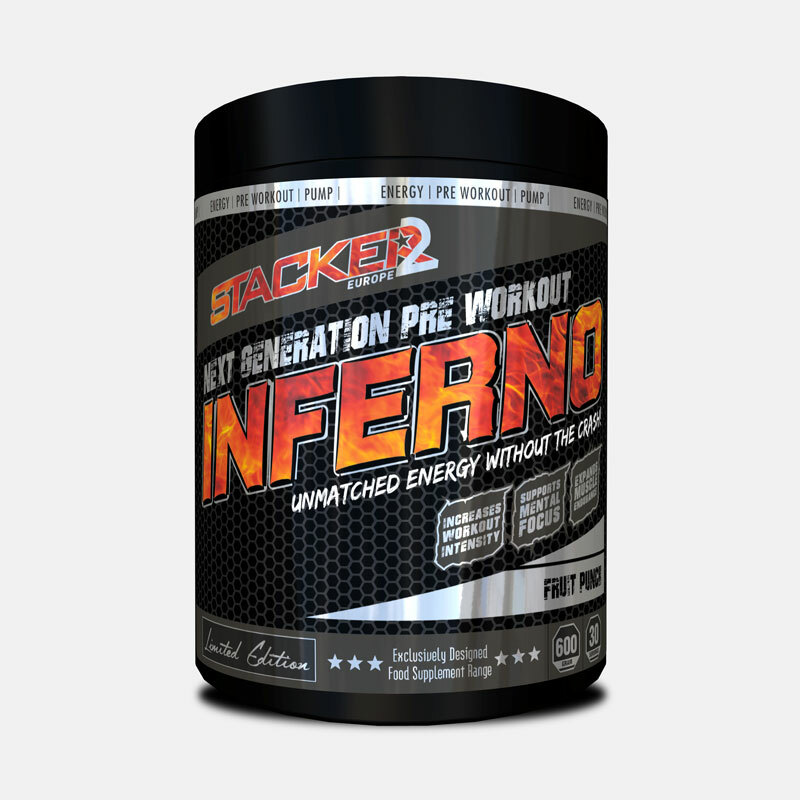 15 minutes after taking INFERNO, you can feel the energy flowing through your entire body. Your inner fire blazes. There is no way back. Your body demands that you take on that punishing training session to get rid of the energy. At the gym you hunger for more sets, heavier weights and a more demanding training schedule.